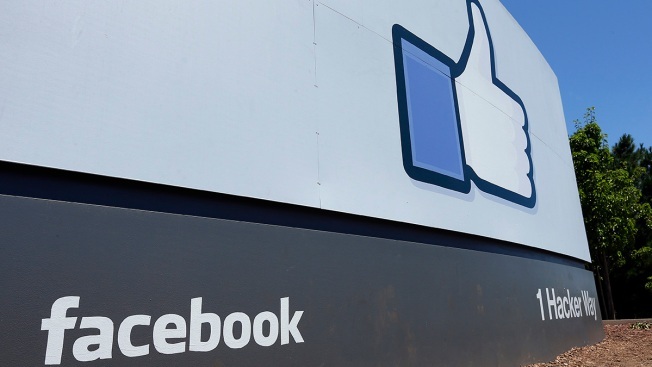 FILE - This July 16, 2013 file photo shows a sign at Facebook headquarters in Menlo Park, Calif. Approximately 3 million Europeans were affected by a September Facebook security breach in which users’ personal information was stolen, the Irish Data Protection Commission told CNBC on Tuesday. This security breach is expected to be the first major test of Europe’s new General Data Protection Regulation, and the number of European users affected could help determine the severity of any penalties against the company. Under GDPR, companies handling the personal data of Europeans must adhere to strict requirements for holding and securing that information, and must report breaches to authorities within 72 hours. Under the regulation, companies can face fines of up to 4 percent of their annual global revenue. For Facebook, which made more than $40.65 billion in revenue in 2017, that fine could be as much as $1.63 billion. Facebook first disclosed the security breach on Sept. 28, saying 50 million accounts had their login access tokens stolen. That figure was reduced to 30 million on Friday, and Facebook confirmed that 29 million of the impacted users had their names and contact information exposed. Among those users, 14 million of also had other personal information, such as their gender, relationship status and their recent place check-ins, stolen by the attackers. Facebook previously declined to share how many users impacted by the breach were based in Europe. But Facebook told the Irish Data Protection Commission that 10 percent of the affected accounts were European, according to Graham Doyle, the commission’s head of communications. The company did not immediately respond to a request for comment on Tuesday. The Irish Data Protection Commission is investigating the data breach.